Michael Williams announced a bid Thursday for Texas’ Senate seat. The Tea Party loves him, but can he overcome a tough primary to become the Senate’s lone black member? Williams talks to Benjamin Sarlin about his plan to win, his friendship with George W. Bush, and his trademark bowtie. As far as Republicans go, Texas Railroad Commissioner Michael Williams is pretty easy to recognize. There usually aren't too many African-American men sporting a giant bowtie and cowboy boots speaking at conservative gatherings. The boots are easy enough to explain. “Well, I’m from Texas,” Williams told The Daily Beast in an interview, his bass-heavy drawl reverberating from the phone. The bowtie? It started as a bit of a prank while he was serving as a White House education official under President George H.W. Bush. After being called up to testify in front of a hostile audience of Senate Democrats, his staff suggested he try to cut the tension and stand out from the crowd with some offbeat neckwear. “I wanted to bring a light moment to the hearing, be humorous,” he said. “We had a very confrontational hearing anyway. But I had bought all these bow ties…” Soon he had a trademark. On Thursday, Williams declared his candidacy for Senate, entering what’s expected to be a crowded and competitive Republican primary to replace the retiring Kay Bailey Hutchison. Political observers and early polls peg him as an underdog against Lieutenant Governor David Dewhurst, who is expected to enter the race and enjoys better name recognition and a large personal fortune to help back his campaign. But Williams’ unconventional background and strong grassroots outreach gives him unusually high potential to break out as a national Tea Party star. Already, his candidacy is ruffling feathers in Washington. Sen. Jim DeMint (R-SC), the conservative lawmaker who lent endorsements to successful Tea Party candidates like Rand Paul and Christine O’Donnell in tough primaries, backed Williams last year for a Senate run to replace Hutchison, who was then planning to leave office to run for governor before deciding to hold off until her term ended. After vowing a less hands-on approach to primaries for 2012, this week DeMint put out an email talking up Williams as an “outstanding conservative leader” and praising another dark horse, former state Solicitor General Ted Cruz, all while notably downplaying Dewhurst. His meddling irritated Senator John Cornyn (R-TX): "Is that guy from Texas?" he told Hotline On Call when asked about DeMint. Supporters look to brand Williams as the next in a line of recent Republican candidates who scored upset primary victories against more entrenched politicians with heavy Tea Party support. RedState blogger Erick Erickson has taken to labeling the Texas Lieutenant Governor “DewCrist,” after the moderate former Florida governor who ditched the GOP last year while running against Tea Party icon Sen. Marco Rubio (R-FL). Williams cited Rubio’s race as his own campaign model. While the substantive policy differences between Dewhurst and his challengers are considered minor, Dewhurst bears the burden of having presided over a State Senate through some difficult budgets—the legislature has come under criticism from anti-tax groups for restructuring taxes to extract greater revenue from business, for example. Williams declined to address Dewhurst’s record, but certainly didn’t shy from the insider/outsider message. Spending and immigration are the two areas that have most tarnished President George W. Bush’s legacy with his conservative base. Williams and the former president, who first appointed him to his current position in 1999 while governor of Texas, have had a close relationship spanning decades—Bush personally ran Williams’ first political campaign, an unsuccessful run for county attorney in Midland, in 1984. The ex-president recounted his friendship with Williams in his book A Charge To Keep: My Journey to the White House, describing him as “a good honest man,” and writing that his appointment as the first African American to hold statewide office one of his memorable moments in the statehouse. Williams has fond memories of the president, whom he first met when they volunteered together as officers of the United Way of Midland. Nonetheless, he is blunt discussing their differences. If elected to the Senate, Williams would become its only black member. 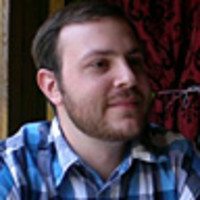 Benjamin Sarlin is the Washington correspondent for The Daily Beast and edits the site's politics blog, Beltway Beast. He previously covered New York City politics for The New York Sun and has worked for talkingpointsmemo.com.